I am so glad I retained these lawyers. Struggling with family law issues is emotionally, physically, and mentally exhausting. The Mesa family law attorneys at Dodge & Vega, PLC are here to support you during these most challenging times with advice, support, and dedicated legal representation. As a complete Arizona family law firm, our experienced divorce attorneys are there for you through every aspect of your case, including legal support for divorce, child custody, child support, father’s rights, and more. As skilled Mesa family lawyers, we understand that this wasn’t what you wanted or expected your life to be. No one ever wants to have to worry about whether or not they will be able to maintain a relationship with their children, or if they will be able to support themselves after a divorce. Call the Mesa Family Law Firm of Dodge & Vega, PLC at (480) 559-8252 for your Free Consultation! With over 35 years of dedicated legal expertise under our belts, it is clear to see why Dodge & Vega, PLC is the right partner for your Mesa family law case. As comprehensive family law attorneys, we are able to manage and support you during every aspect of your Arizona family law issues, from financial discovery to negotiation, as well as modification and enforcement of existing orders. Our Mesa, Arizona divorce lawyers and family law attorneys work hard to deliver high-quality legal support at affordable rates. Child Custody Lawyers: If your divorce involves children, this is probably the most highly contested and important aspect of your case. 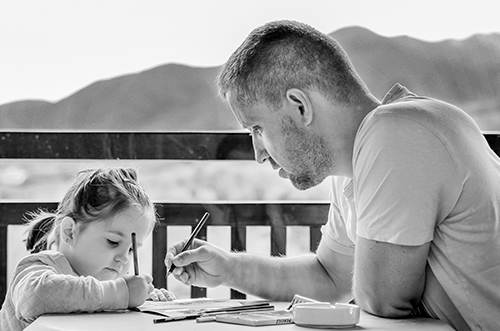 It is important to reach a balance that allows you ample time to build a relationship with your children, while still providing them the opportunity to build a loving relationship with the other parent as well, if in the best interests of the child. Our Mesa child custody attorneys are here for you. Our dedicated Mesa, AZ family law lawyers listen to you, understand your needs and goals, and work with you to create a solid plan for getting the best possible results for both your family law case and your future. As an established Mesa, AZ divorce and family law firm, Dodge & Vega, PLC believes that everyone has the right to pursue their best possible life, regardless of their financial situation and legal issue. Every individual has the right to quality, effective representation. With structured, transparent fee schedules, payment plans, and limited scope agreements, we can find a way to support you that works within your budget. If you are facing a less traditional situation, like military divorce, high-income divorce, contested divorce, high net worth divorce, business owner divorce, or high profile divorce, our family attorneys provide the dedication and discretion your situation demands. The Mesa Family Law Offices of Dodge & Vega, PLC are driven to deliver the best possible results for every case we are trusted to handle, regardless of your needs and budget. If you are looking for a compassionate Mesa family law attorney to support you during your divorce, child custody, or child support needs, Dodge & Vega, PLC is the right choice for you. We are dedicated to helping you understand the family law legal process so you are more confident in building the right life for you.